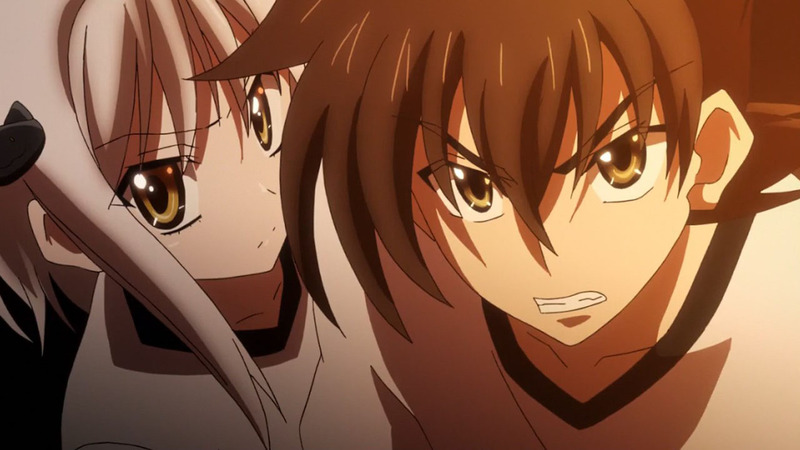 The atmosphere is uncomfortable as we confront the darkness in Rias’ heart. 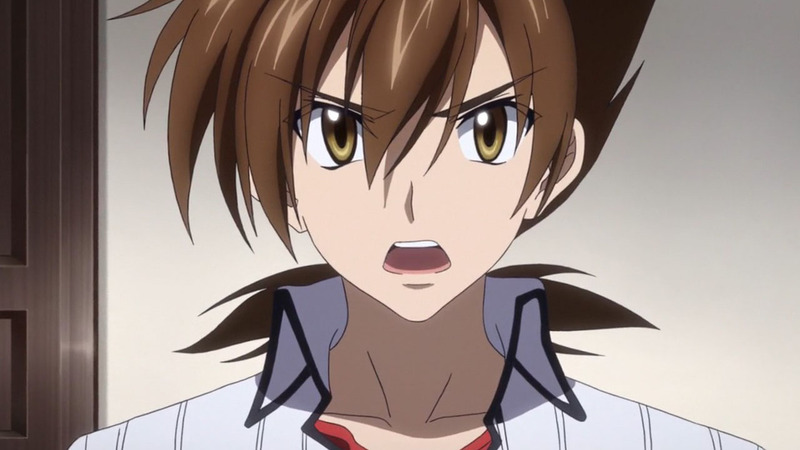 The first part of the episode, where Issei was healed, initially had the signature mixture of too much technobabble and a convenient stretching of previous rules in how Asia was able to heal Issei by going deep instead of from a distance. Which was all made tolerable by the kiss. Asia’s feelings, at least, were true, and sweet to behold. 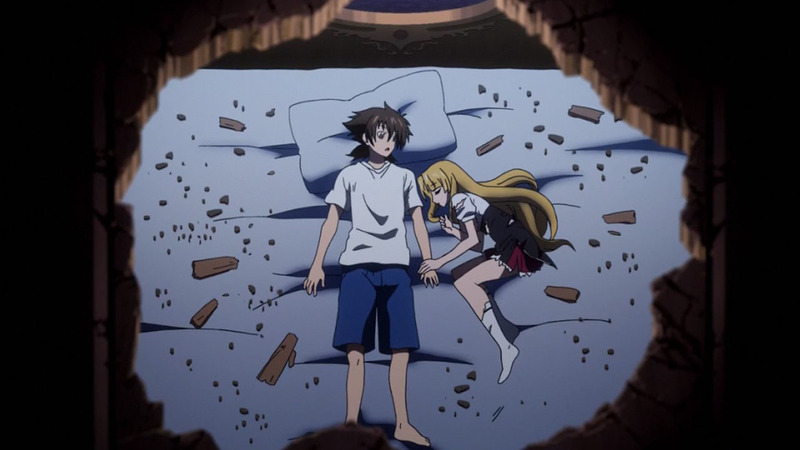 What I wish was that this wasn’t the only light-hearted or lovey-dovey section of the episode! 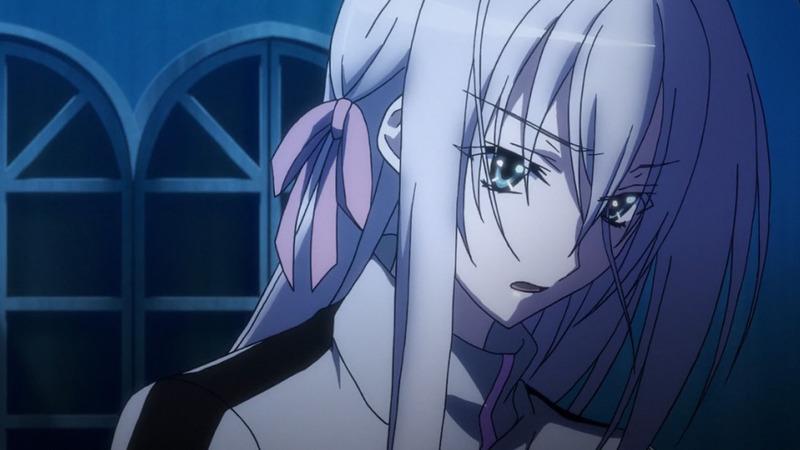 Aside from Rosseweisse crying, it was all serious business, and while I like that too, I’m hurting for the DxD levity that’s so much fun. I feel like we need a break between the heavy stuff, and there was none of that here. It was just into more. 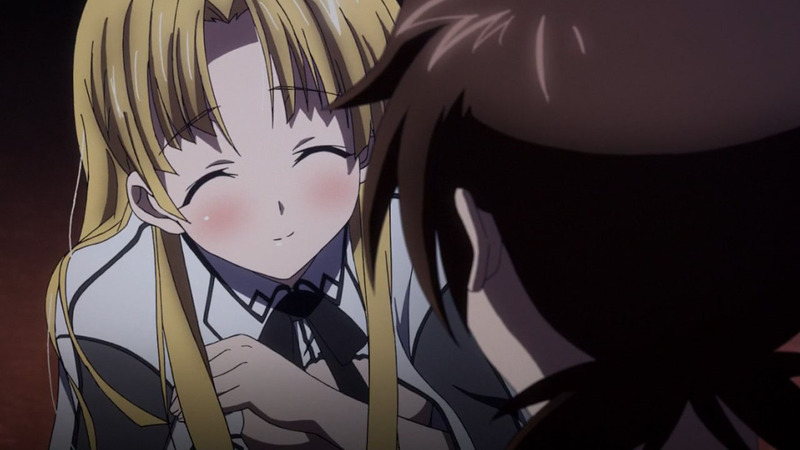 What this episode did well was invoke atmosphere … even if it’s an atmosphere counter to what I enjoy in High School DxD, which made me enjoy the episode less. There was a serious feeling of wrongness, from the frequent facial close ups to the pacing. I’m not sure how much of that was intentional, and how much is a function of the story going off the rails and doing something different, but it was effective. 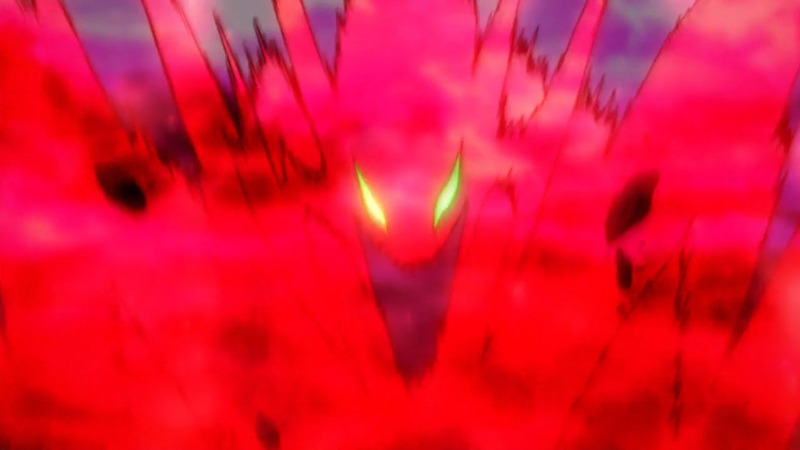 Mostly this was used in regards to Rias, who apparently got the curse too. Who knew. 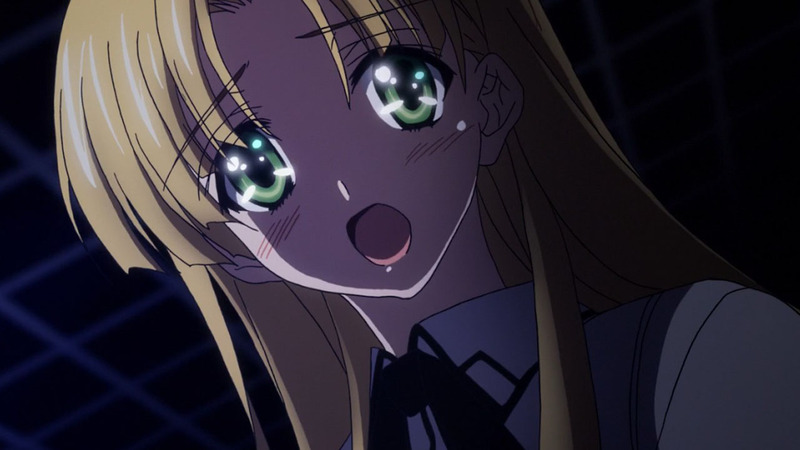 Her darkness almost certainly has to do with Issei himself—uncertainty about whether he loves her, typified in how he still calls her “buchou” instead of by her name—which is why the Issei double was able to brainwash her or whatever. 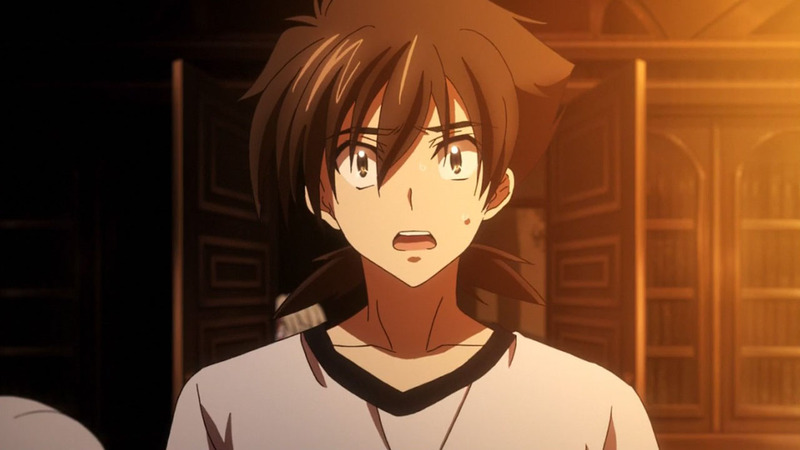 Issei’s darkness—that he’s afraid of finding out about how girls feel about him—really just codifies another excuse for why there are still so many virgins in the cast. It’s still a reach, but at least they’re trying. 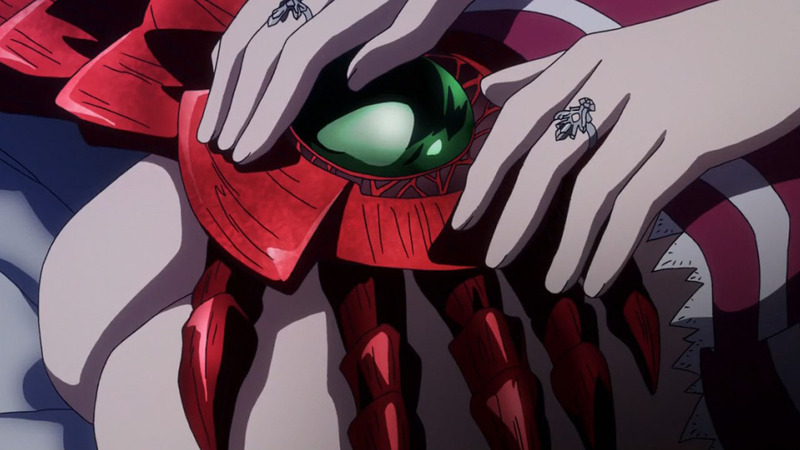 After last week’s episode, this was bound to be a step down, but I feel like there was too much setup for something that’s not really exciting me. Maybe it’s just my disdain for mind control plots, but I neither liked nor disliked this episode. It just was. 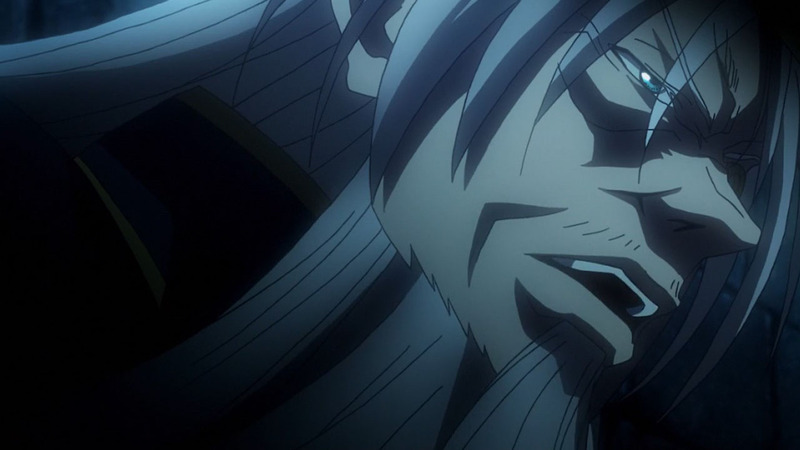 Hopefully injecting some Kuroka-neesan, along with a verbal showdown between Issei and Vali, will help bring the fun back to DxD. 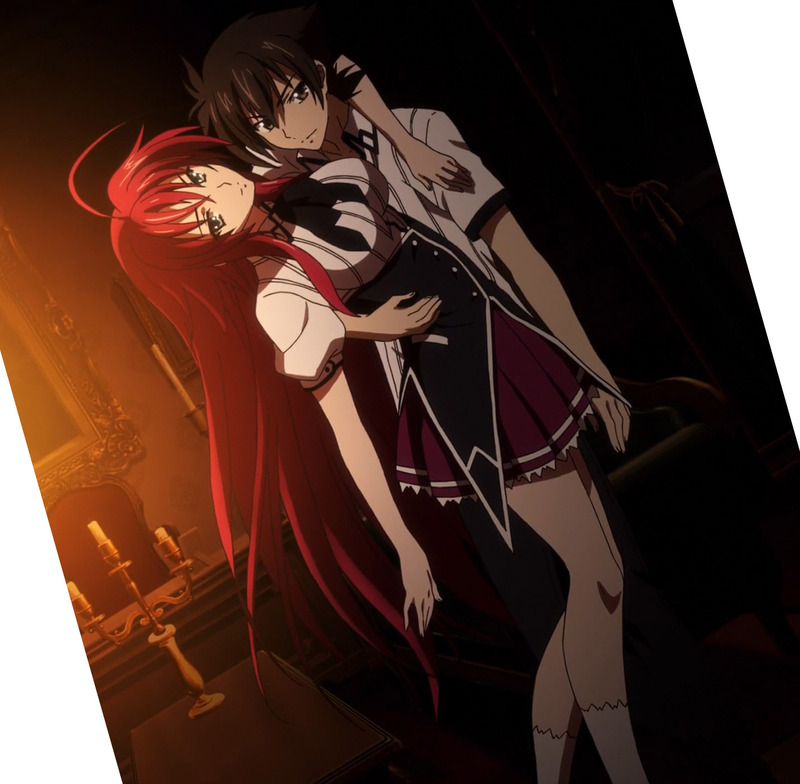 Issei is getting NTR’d by himself. Ouch. Well, at least it’s covering the general line of the novel. Good times. 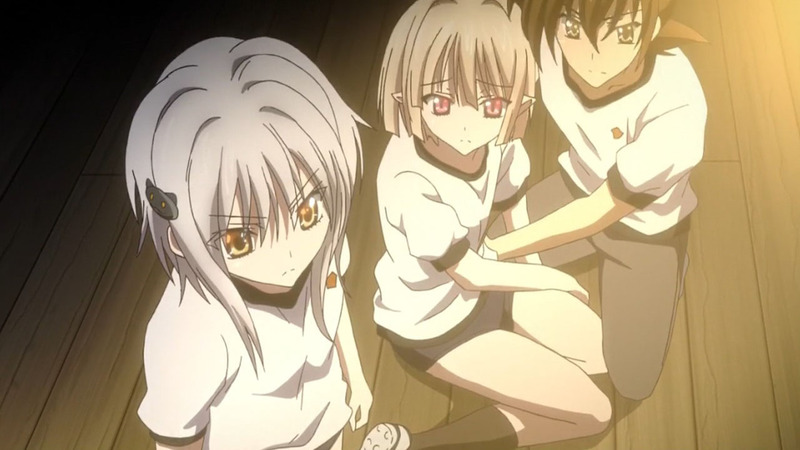 Appropriately enough, Asia is the only girl so far who still has some clothes on her body in the eye-catch. Kinda irritated, that there werent any proper service shots for the bathscene though. A.) 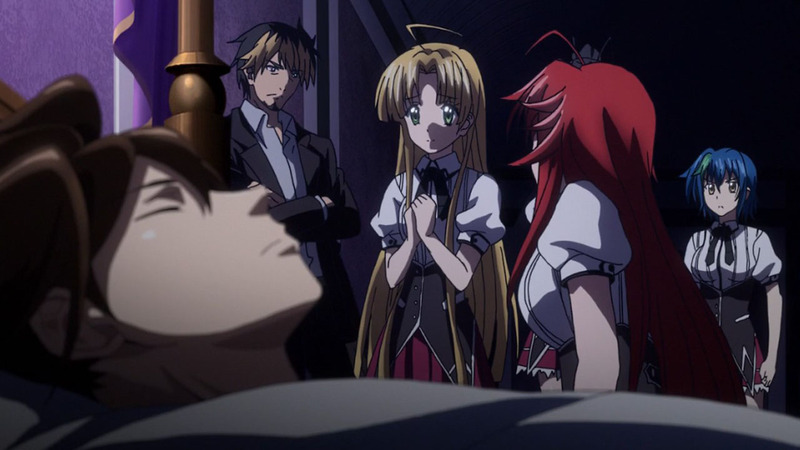 We didn’t get any sort of show of Asia actually “exploring” Issei’s heart, seeing the things he was fearing and was uncertain about (perhaps getting an inner monologue from Issei about it too), finding him in some darker place and being able to lead him out while the curse is dispelled. 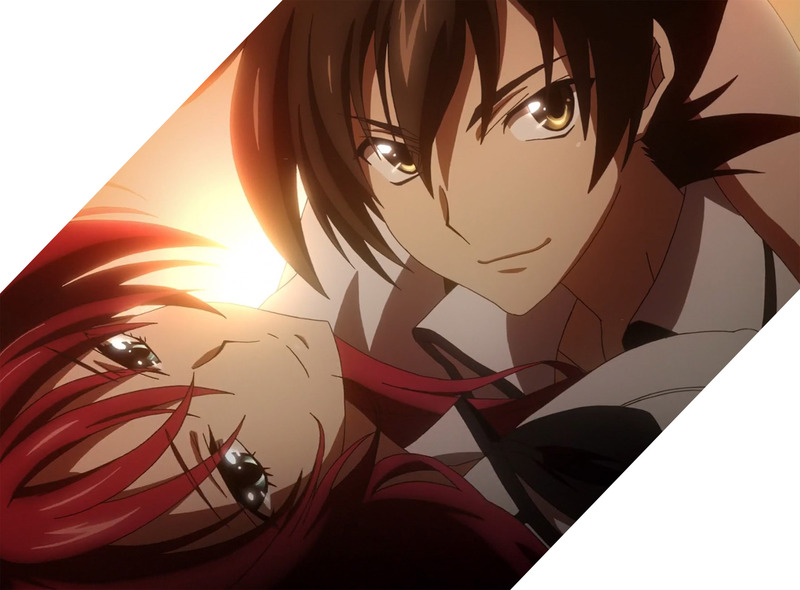 I feel that the heartfelt moment between them afterwards could’ve been a lot more meaningful if that had happened, but the way it was felt a bit…I dunno…”cheap” that Issei is otherwise “healed” like it was just a bigger wound or something. Basically, the result (in regards to Twilight Healing and all that talk) didn’t fit the build-up they gave. B.) 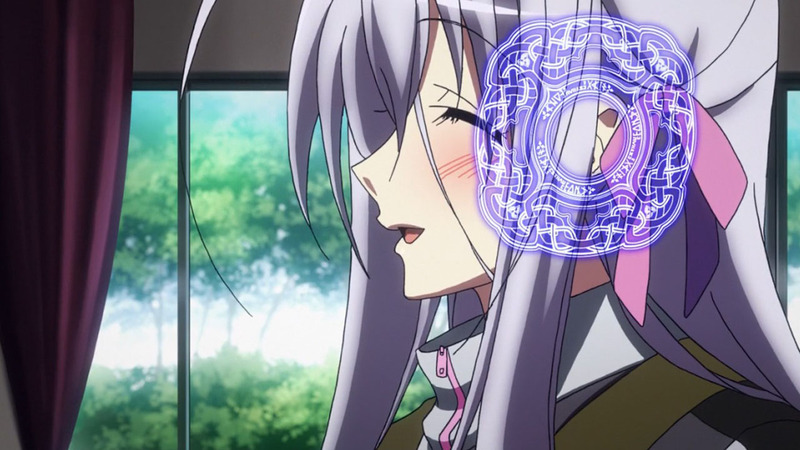 Rossweisse didn’t yet become Rias’ second Knight given Rias’ “secret solution” with Rossweisse being left behind by Odin and all. I guess it won’t happen until after this situation is solved or at least after things get underway. 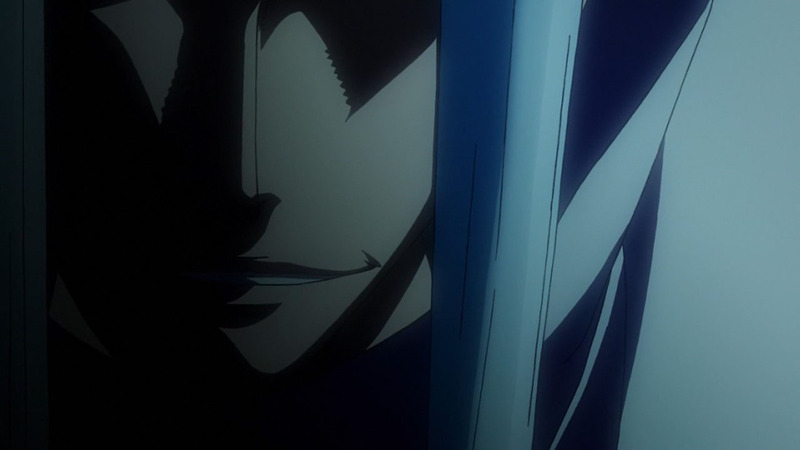 And yeah, I do wish things weren’t SO dark and serious one event after the other like they’ve been doing since early on. 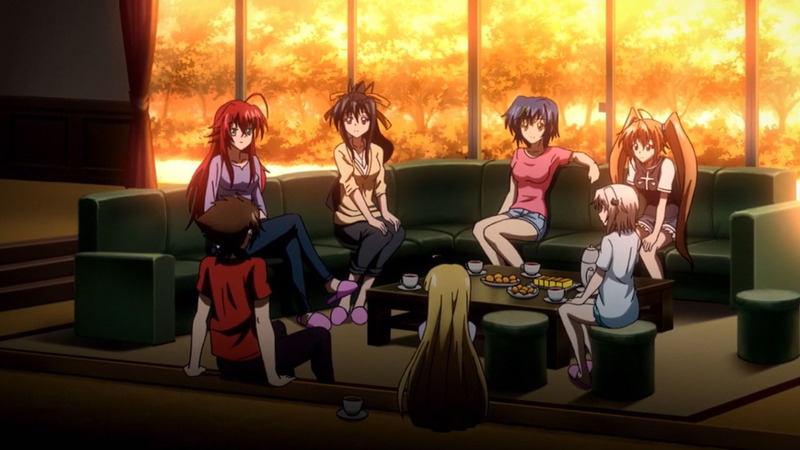 I miss the way even more serious moments could be broken with some out-of-nowhere hilarity (like the way Issei, at the end of Season 2, powered up enough to beat Vali and such all because of Azazel making an “off-hand” comment about how Vali’s Divine Dividing could halve the size of Rias’ and the other girls’ breasts) or even slightly earlier with the whole “breast reading” bit. She will become her second Rook, not a Knight. 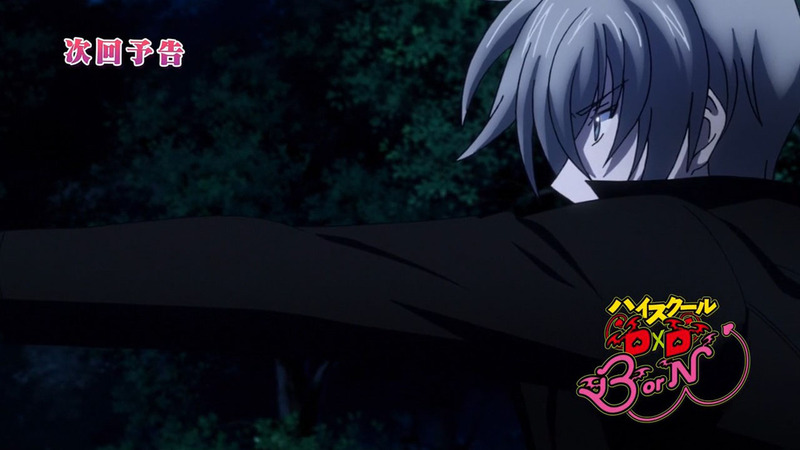 Kiba and Xenovia are her Knights, so the only piece she has left is a Rook. First thought when I saw it was a clone was the “300 Issei” short story, but unfortunately, things didn’t turn out quite that lighthearted. Maybe it (and the rest of vol. 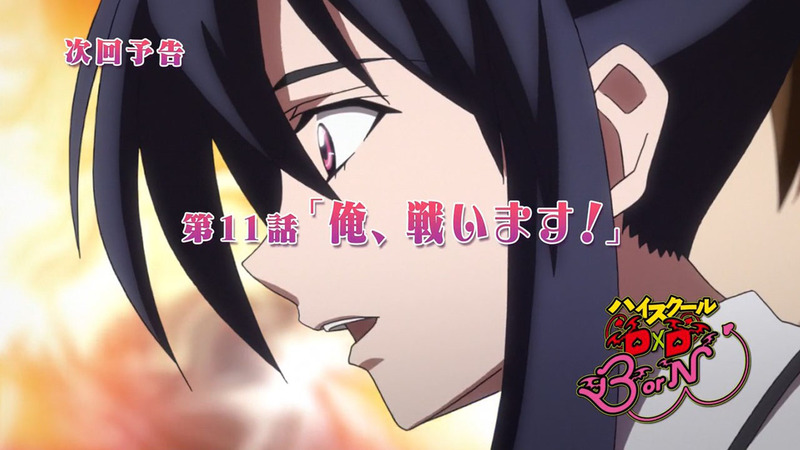 8) will be OVAs? 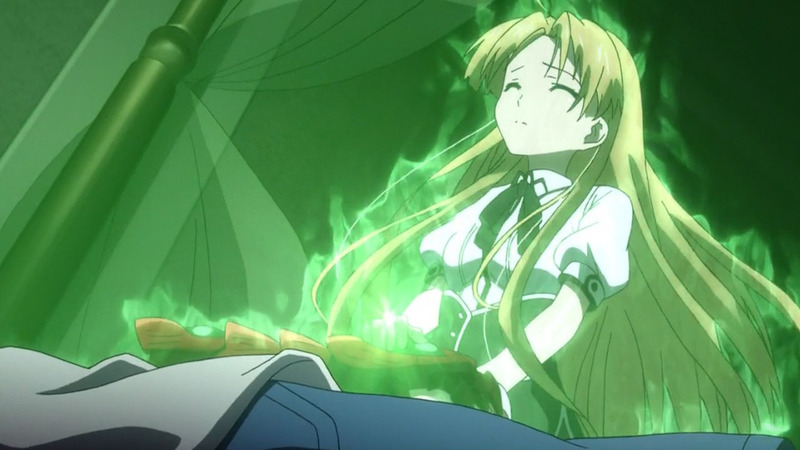 This curse business is anime-original and straying from the LN, so we’ll see where the last few episodes go from here. Kinda seems like the season will end with an event from vol. 10, so there’s some more potential shuffling to be had in the (hopefully) 4th season. 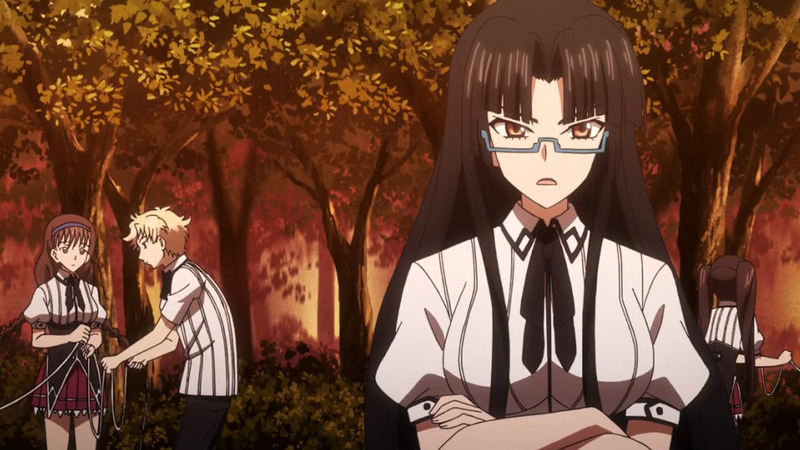 An unusual NTR, though I guess it’s kinda similar to being NTR’d by an identical twin? 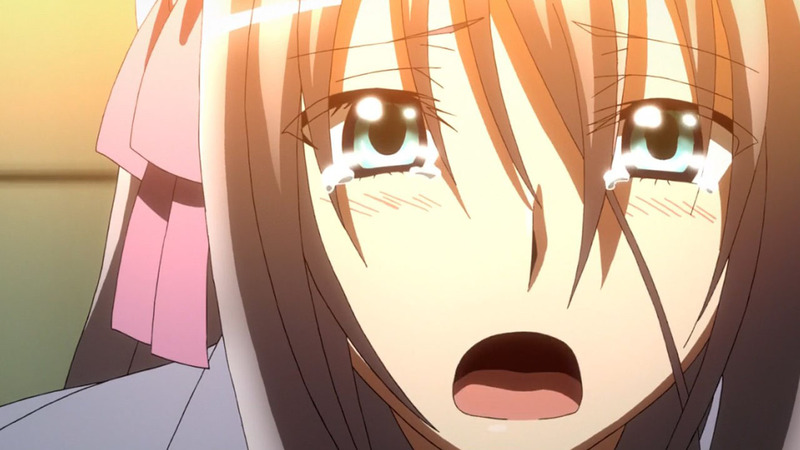 Makes me wonder if Issei would feel more or less heartbroken if the clone were someone else. 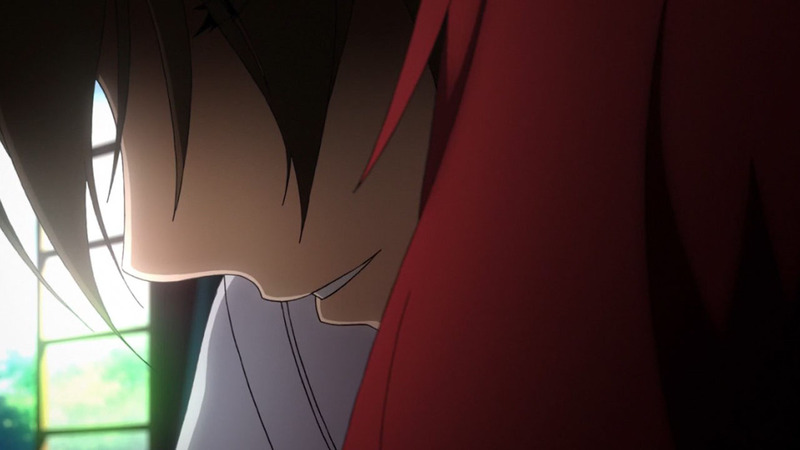 where the girls are finally discovering why he hasn’t proceeded in the relationship with all of them and manage to heal both his body, heart and soul to the point that he can actually call Rias by her name. 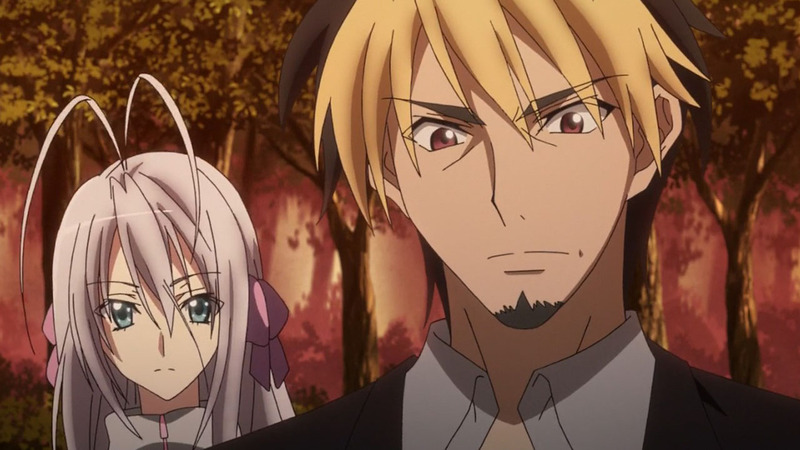 I do hope that if they are going that route, it better be better than in the LN since that was done damn good with the build up and eventual conclusion. 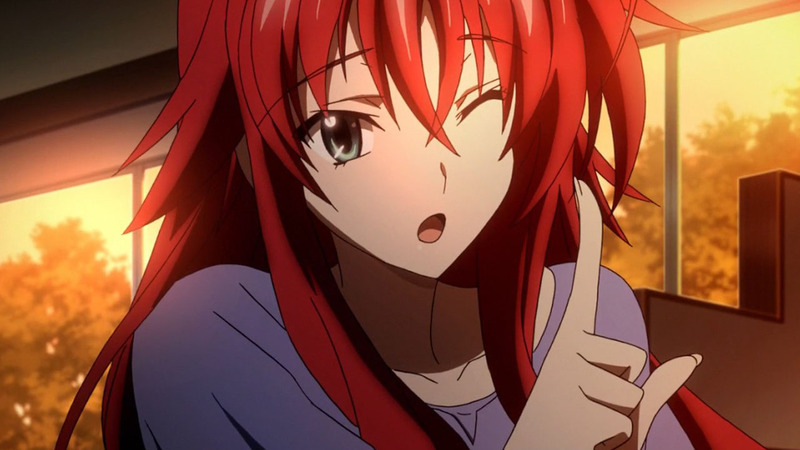 b) the clone is still around and he and real-Issei will get into a shouting match over which one is real, which of course real-Issei can’t win since the real can never win against the ideal, it’ll turn into a fight with real-Issei’s true feelings giving him the strength to beat the clone, but Rias will jump in the way just before the final blow, causing real-Issei to stop short and fake-Issei will strike instead, maybe through Rias (I always like the look of “how could I have been so stupid?” when that happens). 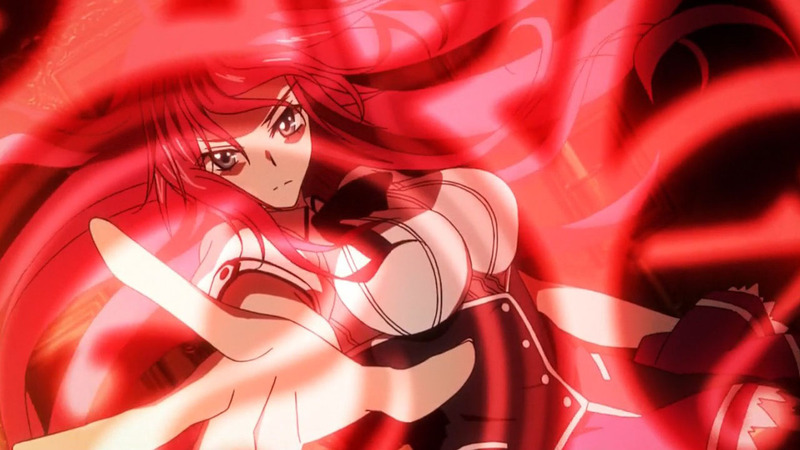 Then Rias will wake up, kill the clone, Issei will confess his feelings while dying, and Rias will break everyone out of the trap (because of course she was just bait for a trap) with her irrepressible rage. In both cases, Loki will have broken out to fight them for the ending. All-in-all, I hate brainwash subplots. They’re so frustrating and predictable, cliche even. 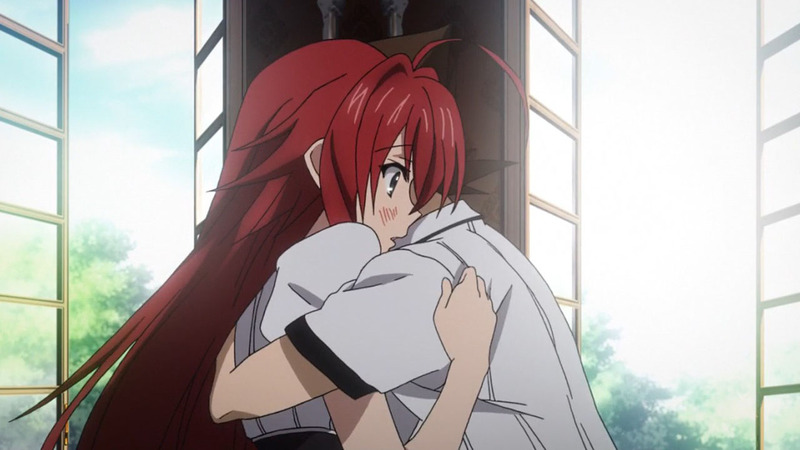 Should’ve stuck with the sweet Rias, Koneko and Akeno moments we were supposed to get after JD was dealt with and Asia got her kiss. #1 is way more likely, IMO. 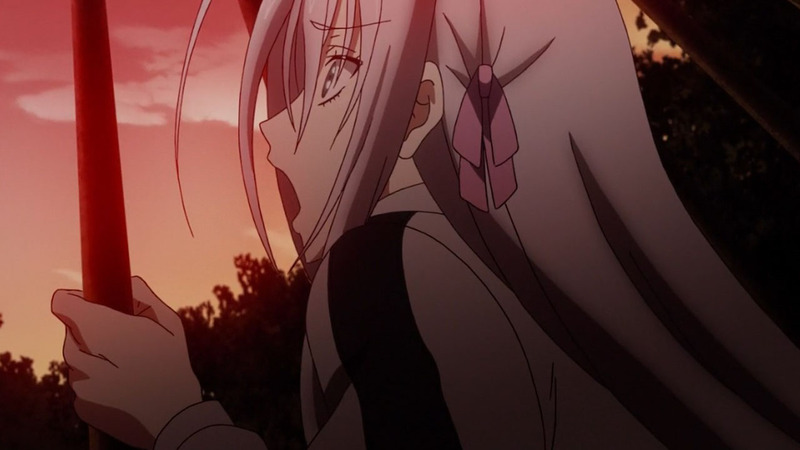 And I hate mind control / brainwashing plots for that reason, too. 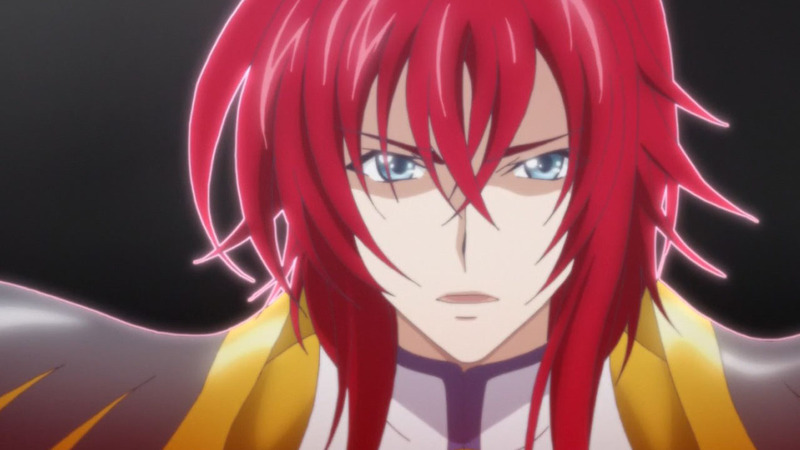 Goddamn Loki, why did he have to pull that DopplegangerNTR/Mind-control trick on Rias-sempai!? 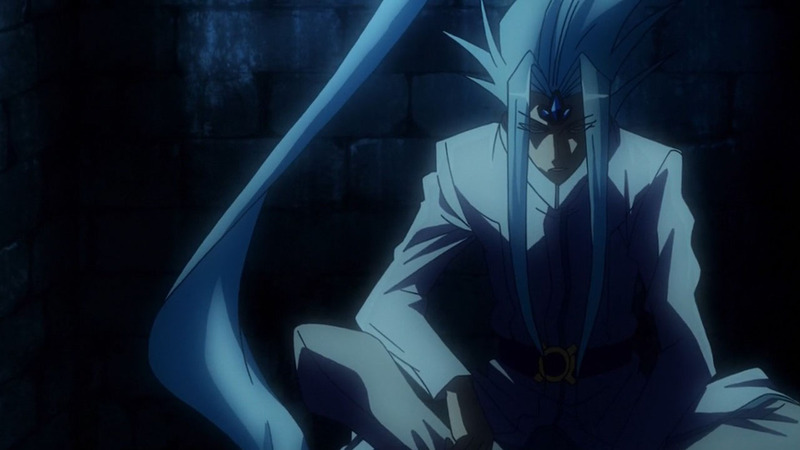 The production team has already said they wouldn’t mind making more seasons, and the original creator is involved in this one. I’m not sure precisely why they’ve decided to mix things up more this time, but it doesn’t necessarily close the door on future seasons. Well…. 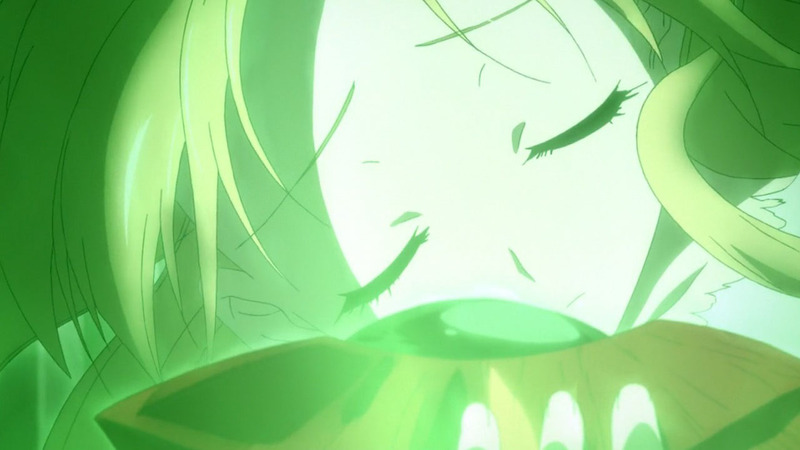 I guess original anime content is also one way to go…. 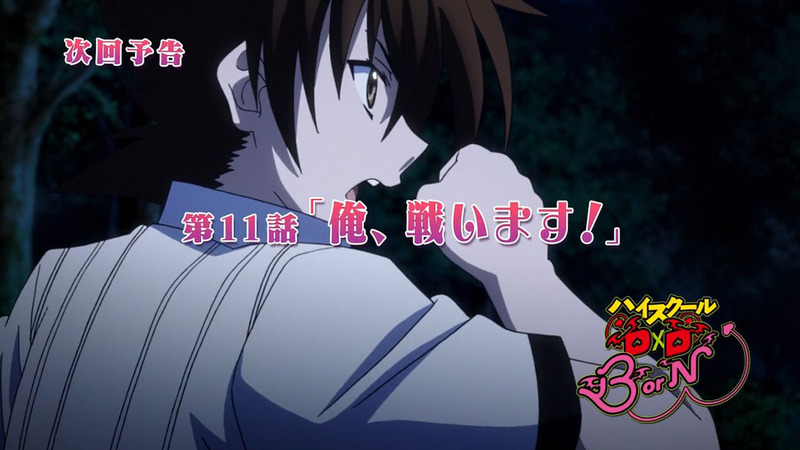 I just hope they dont cut out the biggest brawl in DxD….